BOTOX is by far the most common minimally invasive cosmetic procedure performed in the United States. And, it’s held that spot for more than a decade, with the number of people getting injections growing most years since it was approved by the FDA in 2002. In 2005, 3.8 million BOTOX procedures were performed, but by 2017 that number soared to 7.2 million. The reason BOTOXⓇ Cosmetic is so popular is that it’s very effective at softening facial lines to make you look better and younger, and it has minimal risks. Because of its popularity, numerous spas, plastic surgeons, dermatologists, and even dentists jumped on the BOTOX bandwagon. But just because someone offers BOTOX, it does not mean that they do a great job administering it. Experience matters when it comes to improving your looks. Your face, after all, is not something you can hide if something goes wrong. BOTOX is made from a toxin that blocks nerve signals to certain muscles in your face, which makes it difficult for them to contract and form wrinkles. Unlike other injections, such as JuvédermⓇ and RestylaneⓇ, BOTOX is not a dermal filler and does not “fill” in lines and wrinkles with a substance like hyaluronic acid. BOTOX injections create a smoother forehead or fewer wrinkles around your eyes, even when you smile or frown because the muscles that form those wrinkles are paralyzed or weakened. You may see results from BOTOX injections within a few days, but full results take up to two weeks and last four to six months. What does a bad BOTOX procedure look like? It’s important to go to an experienced BOTOX injector, such as the ones at Sublime Aesthetic Professionals in Minot and Grand Forks, North Dakota because those without experience can produce results that make you look worse instead of better. Don’t be enticed by the promise of inexpensive BOTOX. As the saying goes, you get what you pay for. Too much BOTOX can give you an unnatural frozen look, where no muscle moves – at all. It’s better to soften your lines so your facial muscles can still move and show expression, but without deep creases or lines. Every now and then an injection may leave a small bruise. But with experienced BOTOX injectors, bruising is less likely. Someone who does not have experience can leave you with multiple bruises that take a few days to disappear. With inexperienced injectors, you can end up with eyebrows that point too high or droop too low. You can also end up with saggy eyelids. Experienced BOTOX injectors can help your eyes look brighter and younger. Just as bad as unflattering results are no results. No one wants to spend time and money and come away looking exactly the same. 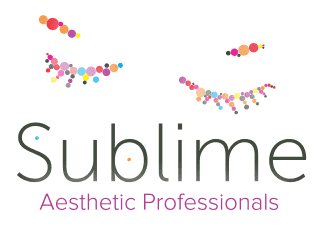 The experienced providers at Sublime Aesthetic Professionals can help you look years younger with a quick BOTOX procedure and minimal discomfort. Are you thinking of getting BOTOX? If you want to look younger by softening your forehead lines or minimizing your crows’ feet, call Sublime Aesthetic Professionals, or make an appointment online.